Learning to talk is a particular challenge for most children with Down syndrome. Difficulties communicating present obstacles in daily life and can be a major source of frustration. We have developed See and Learn Language and Reading to help parents and educators provide children with Down syndrome with the additional support and practice they need to learn to communicate. The teaching activities presented in See and Learn Language and Reading are consistent with evidence-based teaching practice for all children, with adaptations to meet the learning needs of children with Down syndrome. The teaching activities are also informed by many years of practical experience working with children with Down syndrome. The program teaches language and reading skills in small steps, and provides many opportunities for practice to consolidate learning. Teaching activities are designed to minimize distraction and reduce working memory and language demands to make it easier to focus on the learning tasks. See and Learn Language and Reading focusses on teaching spoken language - beginning with children's earliest words and phrases, and progressing to teach further vocabulary, sentences and grammar. See and Learn Language and Reading also teaches reading - both to support language development and to provide a foundation for later literacy learning. It includes activities to teach children to read sight words, simple phrases and sentences, letter-sounds, phonological awareness and phonics. The first steps in See and Learn Language and Reading are designed for young children who are just starting to understand and use words or signs. Later steps are suitable for older children who understand a small early vocabulary. The See and Learn Vocabulary steps introduce children to their first words at the earliest stage of language development in approximate developmental order. Each step is also designed to teach the vocabulary needed for a corresponding See and Learn Phrases step. The See and Learn Phrases steps teach children to put spoken words together in a range of two key word phrases and to read their first sight words and phrases. The See and Learn Sentences steps teach children to put spoken words together in longer sentences and use grammatical markers, including plurals, personal pronouns, past tenses, conjunctions, prepositions, negatives and question forms. These steps also continue to teach children to read sight words and sentences. The See and Learn Sight Words steps teach further vocabulary - introducing new spoken words using picture activities and then teaching the corresponding sight words. New language is introduced in developmental order and in themed sets designed to help children develop knowledge networks and understand categories. The See and Learn Phonics 1 and See and Learn Phonics 2 steps introduce children to phonics. 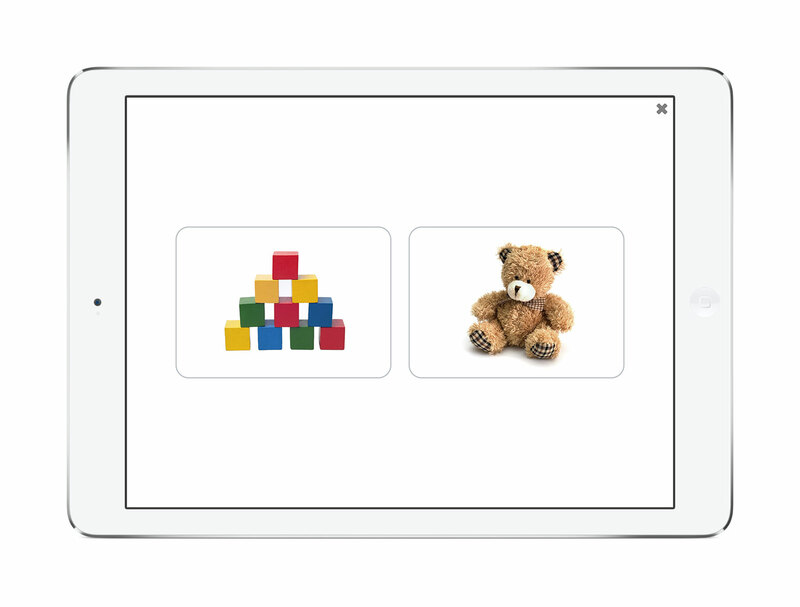 See and Learn Phonics 1 teaches children to begin to identify the sounds in words (phonological awareness) and to understand letter sound links. See and Learn Phonics 2 teaches children how work out an unfamiliar word when reading by 'sounding out' the letters and then combining the sounds (blending) to identify the word. See and Learn Language and Reading can be used alongside See and Learn Speech, See and Learn Numbers and See and Learn Memory as children will be progressing in all these areas throughout childhood. 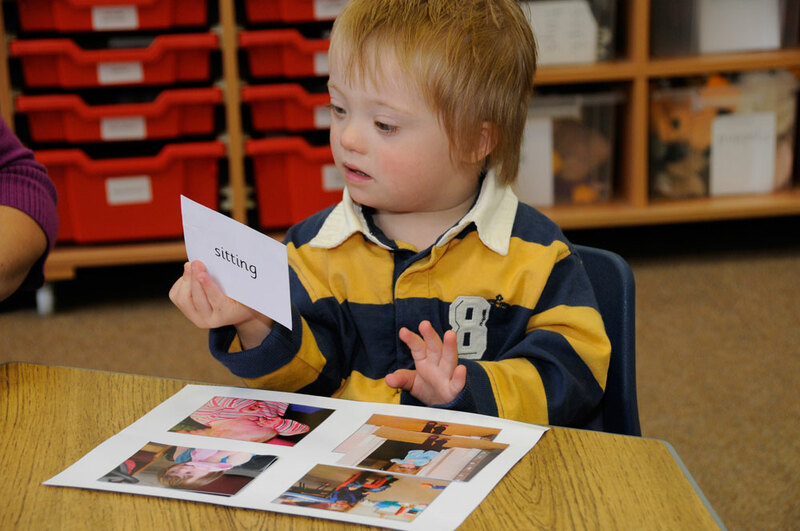 DSE recommends that children with Down syndrome are provided carefully structured and individualized daily reading and language instruction in school from around 5 years of age. DSE's Reading and Language Intervention for Children with Down Syndrome (RLI) is designed for children with Down syndrome aged from 5 to 11 years with reading ages under 8 years. It is based on interventions that have been shown to be beneficial for other children experiencing language and reading difficulties, and incorporates the principles of best practice for all children as identified by current research and guidelines. RLI was evaluated in a randomized controlled trial and found to improve rates of progress compared to ordinary teaching. See and Learn programs include step-by-step instructions, ready-to-use teaching materials, and all the information needed to understand and implement them. They are designed to be easy for parents to use at home. See and Learn programs are also suitable for use in early intervention services, nurseries, preschools and schools.